See the Changes section for changes since the previous draft. All font-related properties are first reset to their initial values, including those listed in the preceding paragraph plus ‘font-size-adjust’, ‘font-kerning’ and all font feature properties. Then, those properties that are given explicit values in the ‘font’ shorthand are set to those values. For a definition of allowed and initial values, see the previously defined properties. 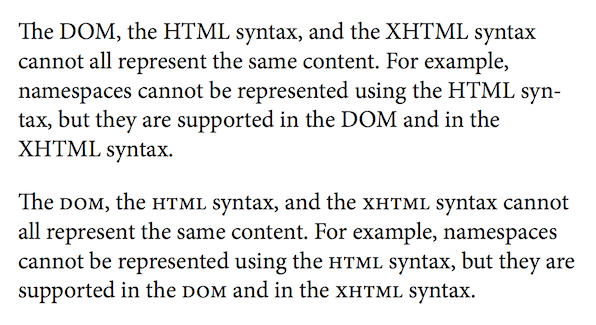 For reasons of backwards compatibility, it is not possible to set ‘font-size-adjust’ to anything other than its initial value using the ‘font’ shorthand property; instead, use the individual property. 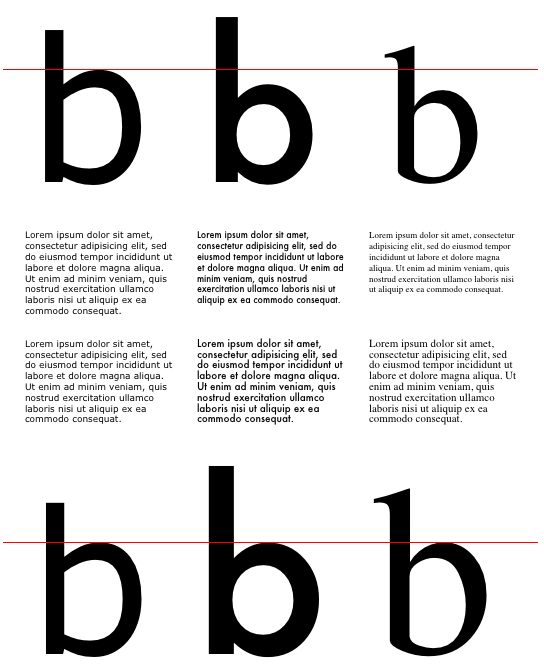 The sixth fifth rule sets the ‘font-style’, ‘font-stretch’, ‘font-size’, and ‘font-family’, the other font properties being set to their initial values. How does the presence of character clusters (e.g. base character plus combining diacritic) affect the use of ‘unicode-range’? Just using single codepoints won't work for variation selectors. The procedure for choosing fonts consists of iterating over the font families determined by the font-family property, selecting a font face with the appropriate style based on other font properties and then determining whether a glyph exists for a given character. Codepoint sequences consisting of a base character followed by a sequence of combining characters are treated slightly differently, see the section on cluster matching below. 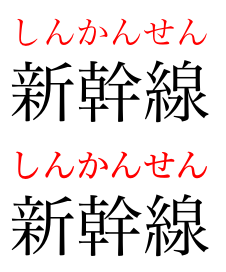 When text contains characters such as combining diacritics, ideally the base character should be rendered using the same font as the diacritic, this assures proper placement of the diacritic. For this reason, the font matching algorithm for clusters is more specialized than the general case of matching a single character by itself. For sequences containing variation selectors, which indicate the precise glyph to be used for a given character, user agents always attempt system font fallback to find the appropriate glyph before using the default glyph of the base character. A font is considered to support a given character if (1) the character is contained in the font's character map and (2) if required by the containing script, shaping information is available for that character. Some legacy fonts may include a given character in the character map but lack the shaping information (e.g. 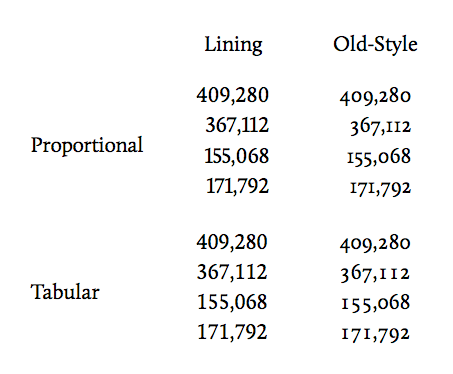 OpenType layout tables or Graphite tables) necessary for correctly rendering text runs containing that character. If c1 is a variation selector, system fallback must be used to find a font that supports the full sequence of b + c1. If no font on the system supports the full sequence, match the single character b using the normal procedure for matching single characters and ignore the variation selector. Note: a sequence with more than one variation selector is treated as an encoding error and the trailing selectors are ignored. If no font is found in step 2, use the matching sequence from step 1 to determine the longest sequence that is completely matched by a font in the font list and attempt to match the remaining combining characters separately using the rules for single characters. The font matching process does not assume that text runs are in either normalized or denormalized form (see [CHARMOD-NORM] for more details). Layout engines often convert base character plus combining character sequences into precomposed characters if they exist. The font matching algorithm outlined here supports both ways and fonts can generally support either but variations can occur. Authors should always tailor their choice of fonts to their content, including whether that content contains normalized or denormalized character streams. When casing transforms are used to simulate small capitals, the casing transformations should match those used for the ‘text-transform’ property. For the styleset property value, multiple values indicate the style sets to be enabled. Values between 1 and 99 enable OpenType features ss01 through ss99. 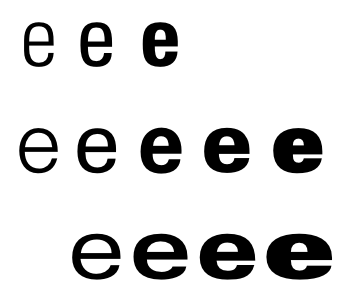 However, the OpenType standard only officially defines ss01 through ss20. Values greater than 99 or equal to 0 are ignored but do not generate a syntax error when parsed. 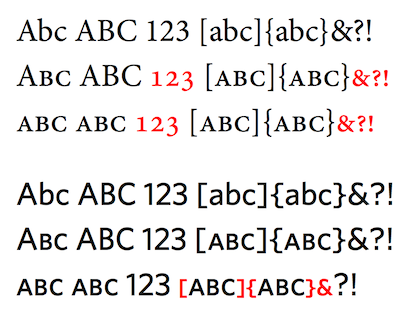 For character-variant, a single value between 1 and 99 indicates the enabling of OpenType feature cv01 through cv99. For OpenType fonts, values greater than 99 or equal to 0 are ignored but do not generate a syntax error when parsed. When two values are listed, the first value indicates the feature used and the second the value passed for that feature. When two value names imply different settings for the same underlying feature the last setting is used. See Object Model for a description of the interfaces used to modify these rules via the CSS Object Model. Serialized set of feature values. Since fonts defined via @font-face rules are loaded on demand, pages may need to know precisely when fonts have completed downloading before measuring text elements on the page or to show some form of interim user interface state. Because font families defined with @font-face rules are loaded only when they are used, content sometimes needs to understand when the loading of fonts occurs. Authors can use the events and methods defined here to allow greater control over actions that are dependent upon the availability of specific fonts. The term font load is used below to indicate when the loading of content for a given @font-face rule completes. An @font-face rule may list multiple alternate resources within the ‘src’ descriptor, including references to local fonts, but the term font load only refers to the loading of the finally selected resource for a given rule, not to the loading of each individual resource. The fontface attribute is initialized to the given font face rule. The error attribute is initialized to the given error. Let font loader be the value of the fontloader attribute of doc. Set the loading attribute of font loader to true. Fire a font load event named "loading" with font face rule and error at font loader. When the user agent begins loading the first resource for a given @font-face rule, it must fire a font load event named "loadstart" with font face set to the @font-face rule that caused this load to start and error set to ???? at font loader. What are the error types that should be used here? The term “font load” covers any of the resources listed in the ‘src’ descriptor, including local fonts. When multiple resources are listed, the “font load” is the first resource in the list to successfully load or the error that occurs on the last resource for which a load is attempted. Given that a set of @font-face rules might load concurrently, does it make sense to have a non-null value for the "loading" event? If none of the resources listed for the ‘src’ descriptor contain valid data, fire a font load event named "error" with font face the @font-face rule that caused this load to start and error [something?] at font loader. Otherwise, fire a font load event named "load" with font face the @font-face rule that caused this load to start and error [something?] at font loader. Set the loading attribute of font loader to false. Fire a font load event named "loadingdone" with font face rule, set to the last font to load, and error at font loader. Note: For example, if three fonts are loaded at the same time, a "loading" event followed by three "loadstart" events and three "load" or "error" events, followed by a "loadingdone" event will occur. The methods isFontAvailable and loadFont must determine whether all fonts in the given font list have been loaded and are available. If all fonts are available, isFontAvailable must return true, false if one or more fonts are not available. In the case of loadFont, if any fonts are downloadable fonts and have not already been loaded, the user agent must initiate the load of each of these fonts. Both of these methods take a font parameter to specify the list of fonts and an optional text parameter to specify the text for which these fonts will be used. The value of font must be parsed using the same syntax as values for the ‘font’ property, the same way the font attribute of the CanvasRenderingContext2D is interpreted. [HTML5] This yields a list of font families along with font style attributes. Parse the value of font parameter, using the CSS value syntax of the ‘font’ property. If a syntax error occurs, return false. Otherwise, let font family list be the set of families and font style be the other font style attributes. If any of the families in font family list are not defined via @font-face rules or are not provided by the platform, return false. For each family in font family list, use the font matching rules to select the font faces that match the font style. In the case where these are font faces defined via @font-face rules, the use of ‘unicode-range’ means that this may be more than just a single font face. Remove from the set of font faces all faces that have defined ‘unicode-range’ values that don't intersect the range of character values in the text parameter. If the set contains no font faces, return false. Otherwise, if all font faces in the remaining set have been loaded and are available, return true, false if any are not available. If a syntax error occurs, return. For all of the font faces in the font set, load any that have not already been loaded. Because the number of fonts loaded depends on the how many fonts are used for a given piece of text, in some cases whether fonts need to be loaded or not may not be known. The notifyWhenFontsReady method provides a way for authors to avoid having to keep track of which fonts have or haven't been loaded before examining content affected by which font is used. Add the value of the fontsReadyCallback parameter to the notify callback list of the font loader and return. Once all pending layout operations have completed, determine whether font resources need to be loaded. If no loads are in progress, copy the contents of the notify callback list to the notify pending list of the font loader and clear out the notify list. Then call each of the callbacks in the notify pending list and clear out the notify pending list. Otherwise, once all font loads complete, call each of the callbacks in the same manner as the previous step after the "loadingdone" event fires. Authors should note here that the callback only fires once, the method needs to be called again when further font loads might occur. This method is similar to the callback function of the "loadingdone" event handler, except that in this case the callback will always get called, even when no font loads occur because the fonts in question are already loaded. It's a simple, easy way to sync code to font loads without the need to keep track of what fonts are needed and precisely when they load. This doesn't quite cover one particularly complex scenario, where multiple downloadable fonts may not be loaded until layout operations are run several times. Given two fonts, fontA and fontB, used in the same font list, assume fontA supports only basic Latin codepoints while fontB also supports Thai. If notifyWhenFontsReady() is called before any font is loaded, the callback will be called after fontA loads but the user agent will then detect that fontA doesn't support Thai and then download fontB. So the callback function will actually run before all loads have completed. Specifically, font family name data is handled differently across platforms. For TrueType and OpenType fonts these names are contained in the ‘name’ table, in name records with name ID 1. Mulitple names can be stored for different locales but Microsoft recommends fonts always include at least a US English version of the name. On Windows, Microsoft made the decision for backwards compatibility to limit this family name to a maximum of four faces; for larger groupings the "preferred family" (name ID 16) or "WWS family" (name ID 21) can be used. Other platforms such as OSX don't have this limitation, the family name is used to define all possible groupings. Other name table data provides names used to uniquely identify a specific face within a family. The full font name (name ID 4) and the Postscript name (name ID 6) describe a single face uniquely. 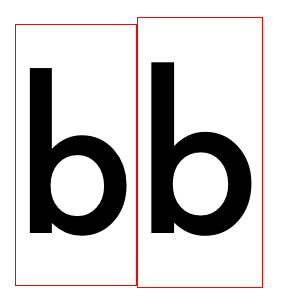 The bold face of the Gill Sans family has a fullname of "Gill Sans Bold" and a Postscript name of "GillSans-Bold". 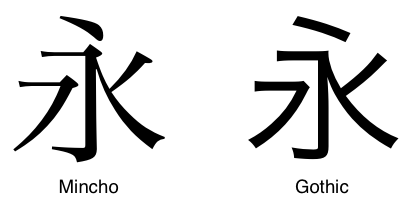 There can be multiple localized versions of the fullname for a given face but the Postscript name is always a unique name made from a limited set of ASCII characters. I'd like to thank Tal Leming, Jonathan Kew and Christopher Slye for all their help and feedback. 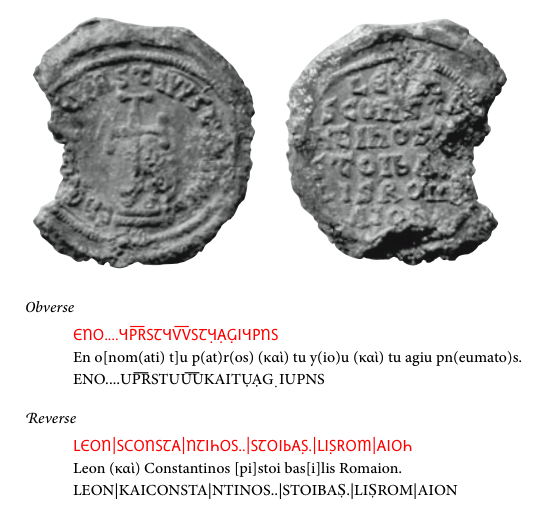 John Hudson was kind enough to take the time to explain the subtleties of OpenType language tags and provided the example of character variant usage for displaying text on Byzantine seals. Ken Lunde and Eric Muller provided valuable feedback on CJK OpenType features and Unicode variation selectors. The idea for supporting font features by using font-variant subproperties originated with Håkon Wium Lie, Adam Twardoch and Tal Leming. Elika Etemad supplied some of the initial design ideas for the @font-feature-values rule. Several members of the Google Fonts team provided helpful feedback on font load events. Thanks also to House Industries for allowing the use of Ed Interlock in the discretionary ligatures example.